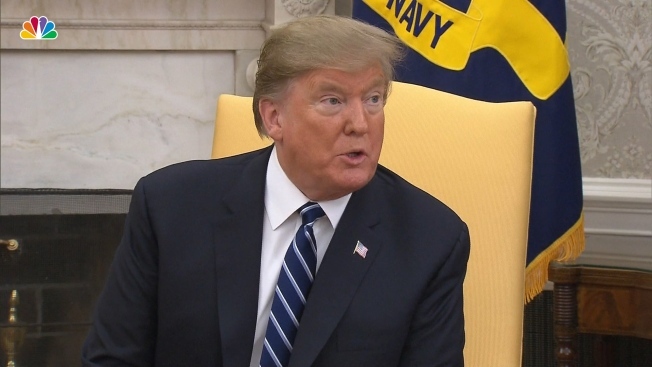 President Donald Trump said Wednesday it will be up to newly confirmed Attorney General William Barr to release special counsel Robert Muller's report on the Russia investigation, NBC News reported. "That'll be totally up to the new attorney general," Trump told reporters in the Oval Office when asked if the report should be released while the president is in Vietnam next week. "He's a tremendous man, a tremendous person who really respects this country and respects the Justice Department," Trump said of Barr. Trump is going to Vietnam for a second summit with North Korean leader Kim Jong Un. NBC News previously reported that Mueller is nearing the end of his sprawling investigation into Russian election interference and possible links between Trump campaign associates and the Russian government, which began more than two years ago.